Office: Callaway N105. Spring 2019 hours: Monday 11 a.m.-12 p.m., 1-1:45 p.m.; Tuesday 11 a.m.-12 p.m., 1:15-2 p.m. and by appointment. 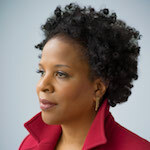 Tayari Jones is the author of the novels Leaving Atlanta, The Untelling, Silver Sparrow, and An American Marriage, which was a 2018 Oprah’s Book Club Selection. Her writing has appeared in Tin House, The Believer, The New York Times, and Callaloo. A member of the Fellowship of Southern Writers, she has also been a recipient of the Hurston/Wright Legacy Award, Lifetime Achievement Award in Fine Arts from the Congressional Black Caucus Foundation, United States Artist Fellowship, NEA Fellowship and Radcliffe Institute Bunting Fellowship. Silver Sparrow was named a #1 Indie Next Pick by booksellers in 2011, and the NEA added it to its Big Read Library of classics in 2016. Jones is a graduate of Spelman College, the University of Iowa, and Arizona State University. She joined the faculty of Emory’s Creative Writing Program in Fall 2018.